J.M. 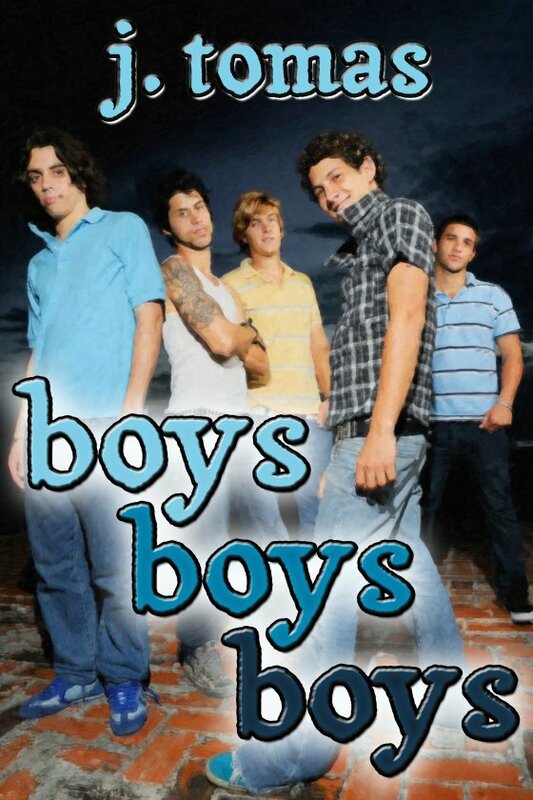 Snyder » Boys Boys Boys Box Set now available! Boys Boys Boys Box Set now available! You may know I write gay young adult romance under the name J. Tomas. Well, I have several short stories out under that name, and I’ve finally compiled them into one box set entitled Boys Boys Boys, which is now available! From high school crushes to best friends, secret admirers to out-and-proud teens, these stories bring to life all the amazing — and frightening — aspects of falling in love for the first time. Whether you’re sixteen and looking for stories about boys your own age or you’re older and want to reminisce about the “good old days,” there’s something in this collection for everyone. Buy the box set today! Bryan sits by himself at a table in the cafeteria, struggling with the Geometry homework he left until the last possible moment. He has the class sixth period, and forgot all about the problems the teacher assigned the night before. If he didn’t turn them in on time, his parents might find out, and they’ll want to know why. His only excuse is he forgot, plain and simple, because he’s been so busy with the play, and if his mother hears that, she’ll make him pull out of the production. Which he isn’t going to do, no way, no how. Hopefully he’ll have enough time to fake his way through the problems before he has to turn them in. He hates Geometry. Worse, his mind keeps straying off the homework and down the table, where the rest of the cast who has this lunch period is practicing their lines. Jesse sits at the end closest to Bryan, and every now and then throws him a sympathetic look. He even offered to do the problems for Bryan, if that meant they could sit together and review the lines, but Bryan knows Jesse’s as bad as he is at math and the teacher would get suspicious if both their papers contained the same wrong answers. No, he told Jesse, let him finish the homework and then he’d join in. But Bryan can’t concentrate, and every now and then his gaze wanders to where Jesse sits, fork spearing his French fries as he waits for his line. The last time Bryan looked, Jesse was looking back. When he saw Bryan, he smiled. Since then Bryan’s been fighting with the Geometry problems as if they’re to blame for the way his heart aches. She starts to nibble on her salad and looks around. Bryan tells himself she’s not looking at Jesse, but he knows she is. She has the hint of a smile on her face and, when she speaks again, her voice is lower, conspiratorial. “Hey,” she whispers. He glances over at her. How bad will it sound if he points out he needs to get this homework done and can’t really talk? Least of all about Jesse, he thinks as she appraises him. I don’t need to hear you tell me how cute he is. I already know. © Copyright 2019 J.M. Snyder. All rights reserved.